MYTH. totally and completely false. 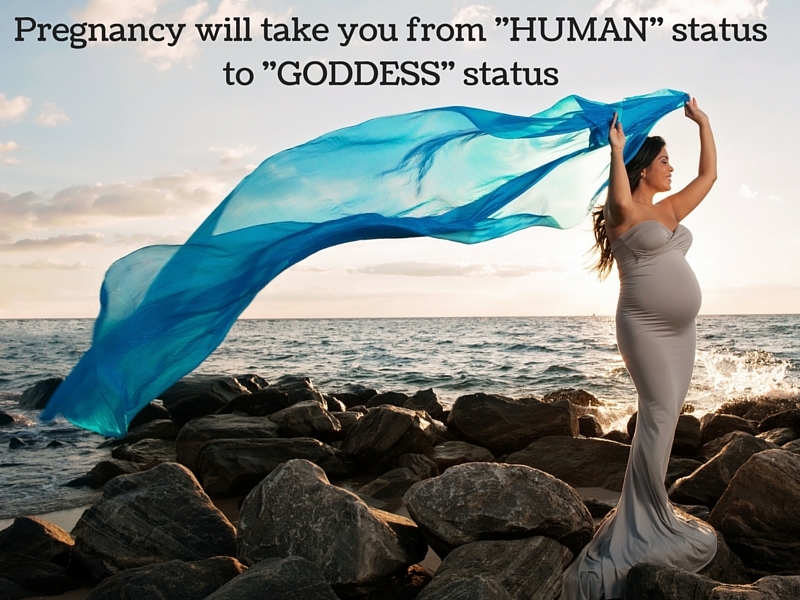 Although, I will admit, you would HAVE to be a goddess to maneuver your big old pregnant self over rocks like that in a dress that turns your legs into a mermaid tail. 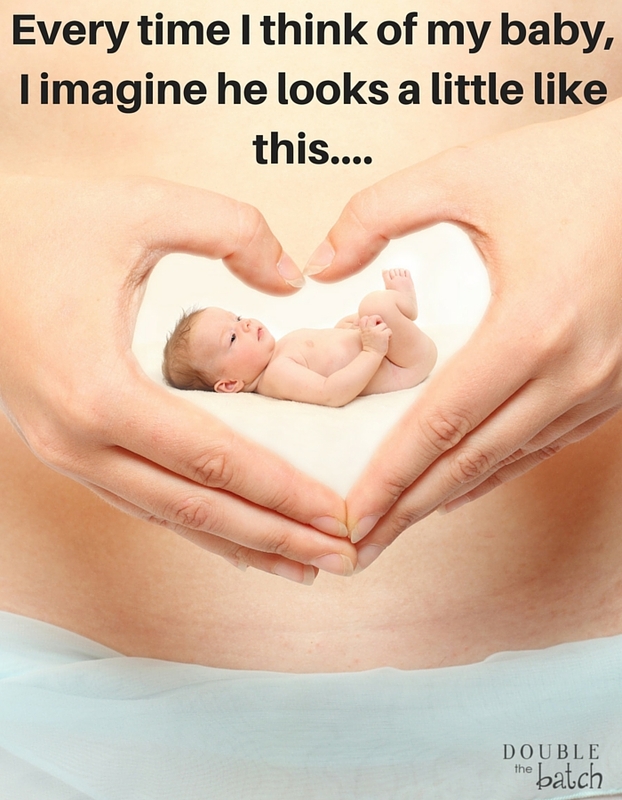 I might even venture to say that this whole photo is completely impossible for a pregnant woman. Either she’s not really pregnant, or she was gently placed there by a crane. 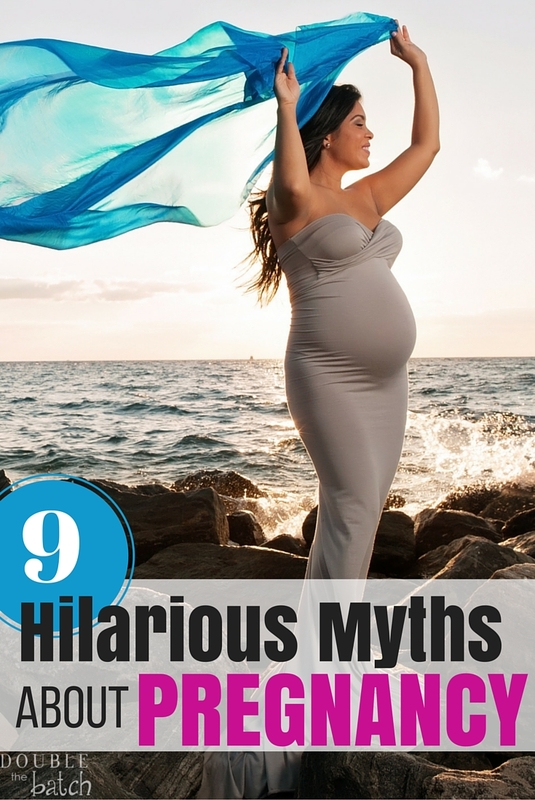 TRUTH: Pregnancy will do quite the opposite of giving you goddess-like powers. Unless of course you are thinking along the lines of “Goddess of the continuous farts” or “Goddess of strange things leaking from my crotch,” then you might have a chance there. TRUTH. No matter what stage of development your magic little bean is in, you will love and cherish and find beauty in its existence, but don’t be offended if you are the only one. I have a friend who thought her marriage was “on the rocks” because she framed her ultrasound photo and her husband came home and said, “that’s not a picture that you frame.” She had a complete and total meltdown. Of course I didn’t tell her I agree with him, because I value my life. But I definitely thought it. In fact, even at full term don’t be surprised if you give birth to a swollen cone head. My brother went as far as to tell me that my daughter looked like a full-on alien for her first two weeks of life. Myth. That would be really sentimental and awesome though. 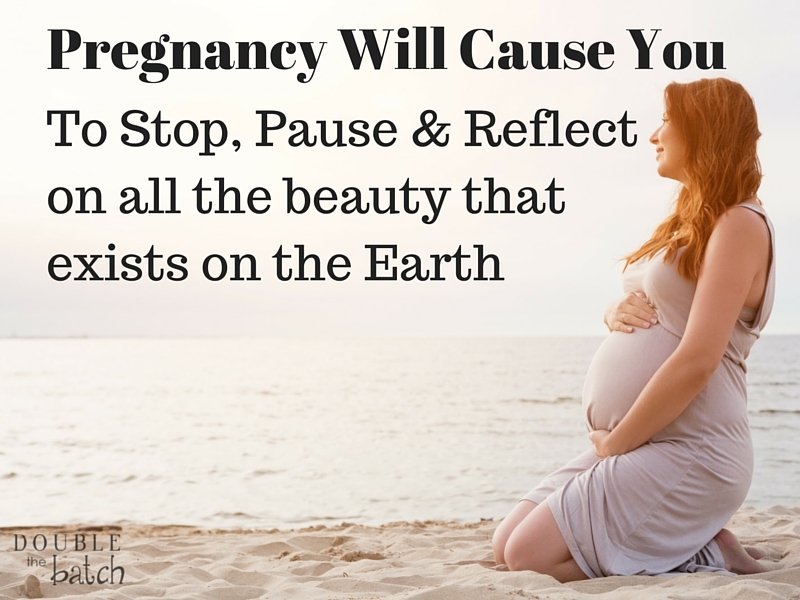 TRUTH: Pregnancy will cause you to stop, pause and pray to the heavens above that you aren’t about to pee your pants. In fact, if I were a betting woman, I would say that this woman pictured above was on an innocent stroll along the beach when the urge hit her out of no where. She dropped to the ground in attempts to hold it, and is currently trying to figure out her next plan of action. That face is actually a look of agony and those hands around her belly are desperately trying to transition baby off of her bladder. Poor girl. Happens to the best of us. Myth. She doesn’t like balloons even a little bit, in fact nothing and no one is her favorite right now. TRUTH: This is actually a therapy session. 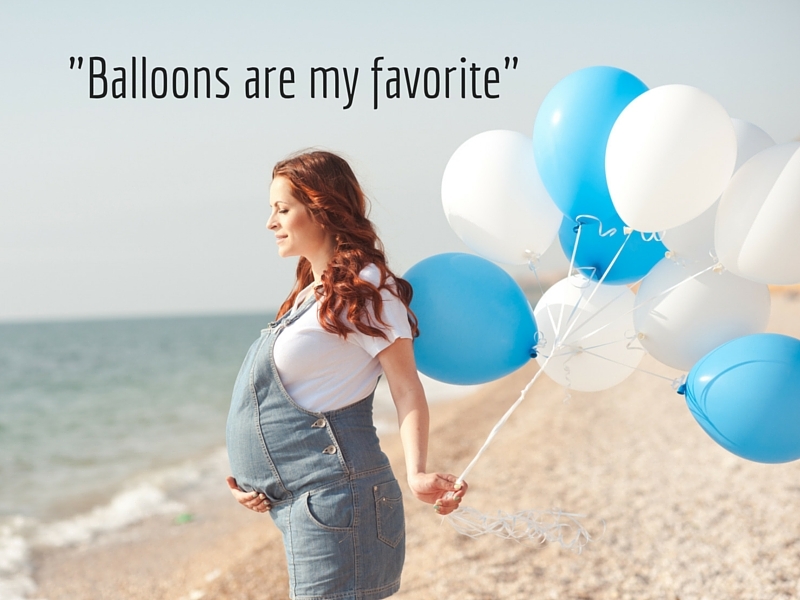 Each one of those balloons represent an idiotic stranger that walked up and asked if she is giving birth to twins. As she lets those balloons go, she’s desperately seeking for the strength to forgive and forget each and every one of them. The smirk on her face represents the small moment that she actually imagined herself destroying each balloon with her teeth. Myth. This is far from a petting zoo. There is nothing to see or touch here. Please move along. Truth: Hi. That’s my belly. You are awkward and inappropriate. I don’t need you touching me and adding to my discomfort. How about I rub your belly right back. That could be fun. Then we could both feel awkward. And this sock-puppet-itsy-bitsy-spider game they’ve got going on here is about the creepiest thing I’ve ever seen. I got the creepy tingles the moment I saw this picture, and I have them again right now. Back off bucko! Myth. If you look at her face you can clearly see that she is experiencing the depths of hell. She’s currently gagging down stomach acid and her restless legs are about to put her into a crazy dance. And that hand? Obvious hip pain. She’s not fooling anyone. 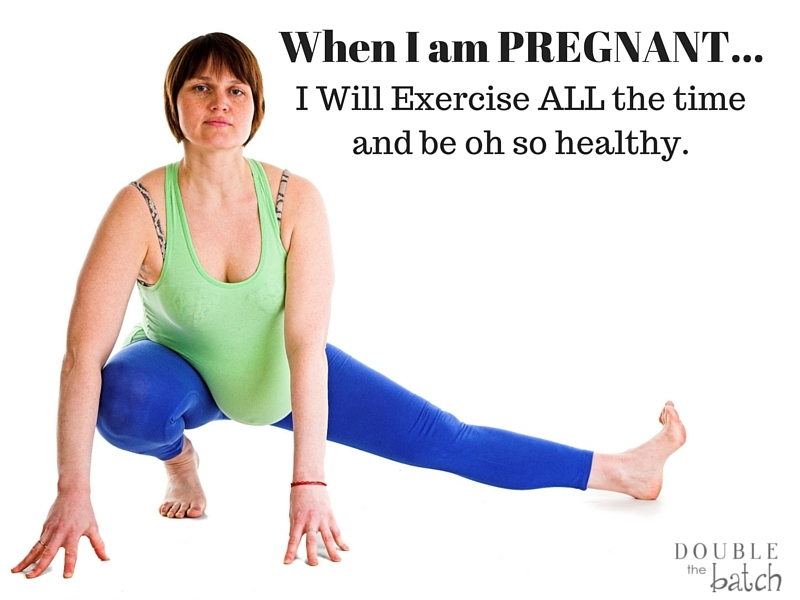 TRUTH: Any pregnant woman who spent long amounts of time lying on a hardwood floor never lived to tell the tale. She needs at least 4 more towels and 21 pillows to prop her up from the heartburn alone. I think she might have actually died in this picture. It’s the only reason I can find behind the memorial flower at her head. Myth. What she’s actually doing is trying to stretch out an incredibly painful leg cramp. And that position she is in has her questioning if she will ever be able to get back up again. TRUTH: You might actually spend more time on the couch than ever before in your life and just the thought of exercise could send you to the toilet once again. Pregnancy is a wonderful time of life when simply walking up the stairs has you panting for breath and blacking out. I give her credit for the leggings though. 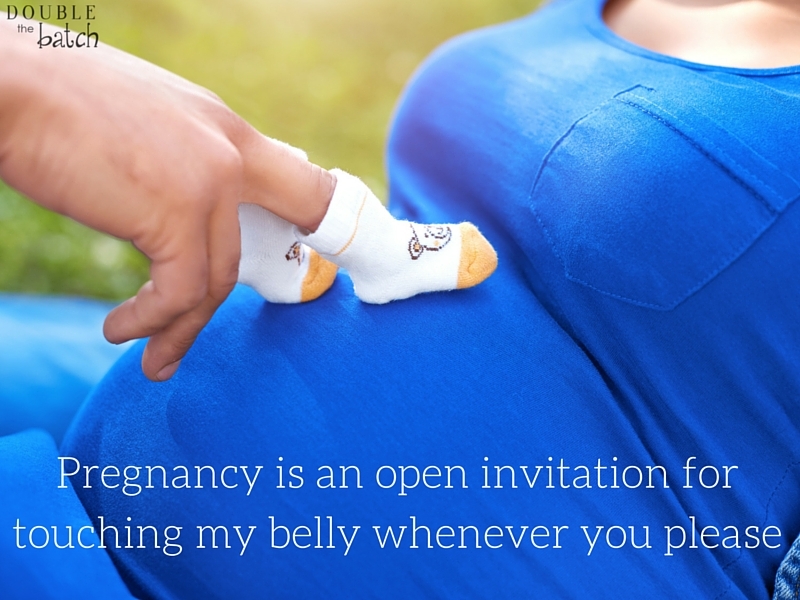 Leggings are a pregnancy wardrobe staple. Most people wear them to yoga, as pajamas, or out for a run. Pregnant girls wear them as part of existing in the world. It’s the closest to naked you can get and still have public acceptance. Myth. 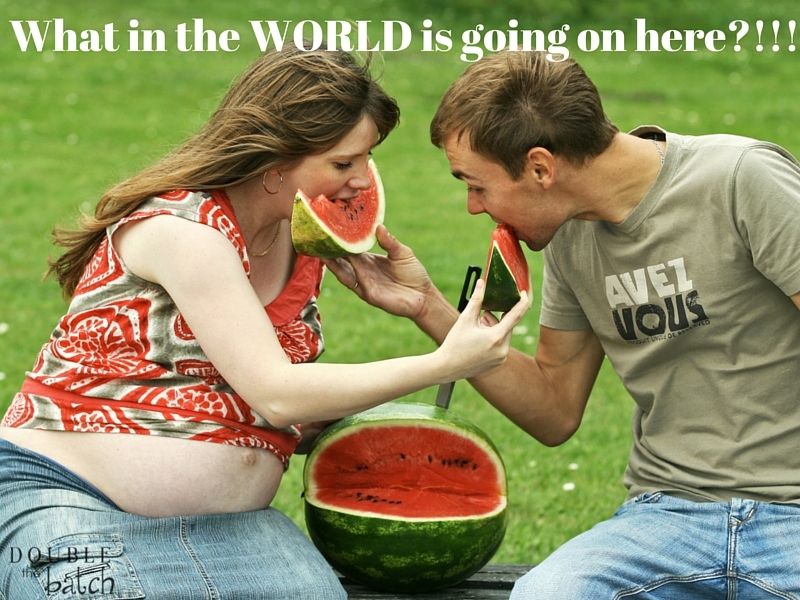 If you are with 99% of women, your pregnant belly will actually resemble a complete war zone. Please keep your shirt on.